Video is the new copy. Search engines eat it up and raise it to heady heights. Landing pages lust after it for its ability to turn a lurker into a paying customer. Products love it because what better way to put their bennies on display. And with production costs reachable by even the most threadbare budgets, there’s no reason not to make it a staple of your marketing plan. 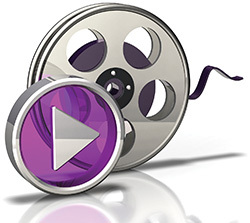 Video content marketing is gaining tremendous momentum. ALONGSIDE THE SEO TEAM. CREATIVE AND SEARCH WORKING TOGETHER. IDEAS AND SCRIPTS NEED TO BE WRITTEN TO APPEAL TO THE SPIDERS. Another clever trick is to follow the text search model and do a series of videos. It”s a very efficient production tactic by the way. Your major costs are in the shoot day. Your edit is very inexpensive so amortize that terrific footage over a dozen videos. After all, you wouldn’t consider putting in one (1) search term, would you? So there you have it. Now you know everything. So come on in. Search terms + scriptwriting + inexpensive production = infinite production.